I am thrilled to welcome Emma Tinkler-Hundal, the Georgian Seamstress, to the salon to discuss the wonderful clothes of the era! Up until the turn of the 18th Century the tailor was the key figure associated with the construction of the outer garments of clothing for men and women. 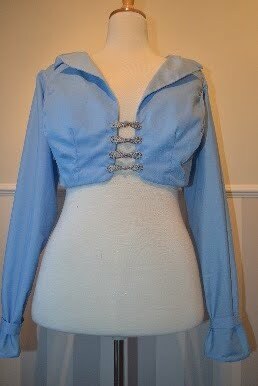 The lowly seamstress produced the shirts, chemises and other undergarments. 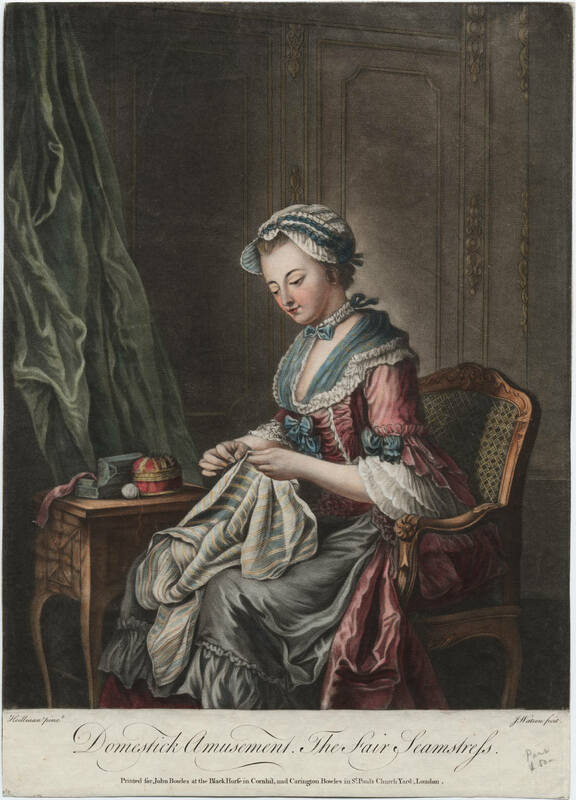 During the late 17th and early 18th Century the Mantuamaker came into being, first in France as the law changed there in 1675 which allowed women to make women’s outerwear independent of the tailors. This new form of seamstress then spread across the channel but not without considerable problems from the tailor’s guilds that jealously guarded their monopoly. The encroachment of females into the male dominated province of tailoring was not the only revolutionary change that was happening in this period to the clothing industry. The production of readymade clothes was proliferating during this period, with London as the centre of its production; often by shop owners sending out piece work to legions of seamstresses; the majority of which spent their time in garrets sewing or in what can only be described as sweatshops doing piece work for a measly wage. 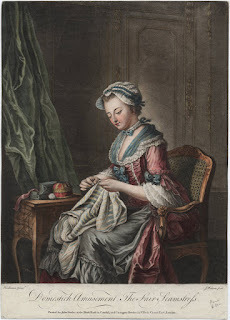 The availability of readymade clothes was greater that you would expect in a time before the industrialisation and the invention of the sewing machine thanks to the hard work of hidden seamstresses. The wares produced were transported and sold across the country to people of all levels of society as well as large quantities for sailors and soldiers. The tailor’s guilds tried to prevent the sale of readymade clothes as assiduously as they tried to stop the Mantuamakers; and for a time they succeeded in some towns and cities. Representatives from some of the guilds were sent to London to petition parliament numerous times and large quantities of money was expended by the guilds in petitioning parliament and prosecuting the readymade producers and sellers. Parliament in the end did not decide to support the guilds in keeping their monopoly, whether this was because of the numbers of women in gainful employment that wouldn’t have been without the clothing trade or because of the large quantities of readymade clothes that were constantly needed to clothe the Army and Navy is up for argument. What is for certain the failure of Parliament to do so set in motion the processes that would lead to the clothing trade that we have now. The first reading of Pride and Prejudice at the age of twelve was a pivotal point and from then onwards the obsession hit. I not only fell in love with the romance between the protagonists, I fell in love with all things Regency. From Kings, Queens and the Court to the lives of ordinary people, from Medicine to Fashion, from the dark underground of Regency London to the lives of the demi-monde I devoured history books at an alarming rate and I found that nothing makes history come alive more than dressing up and living it. I may have been the only teenager that tried to create an ‘Elizabeth Bennet’ outfit using a summer dress and a bolero in order to go on long walks pretending I was her, but I doubt that I am. 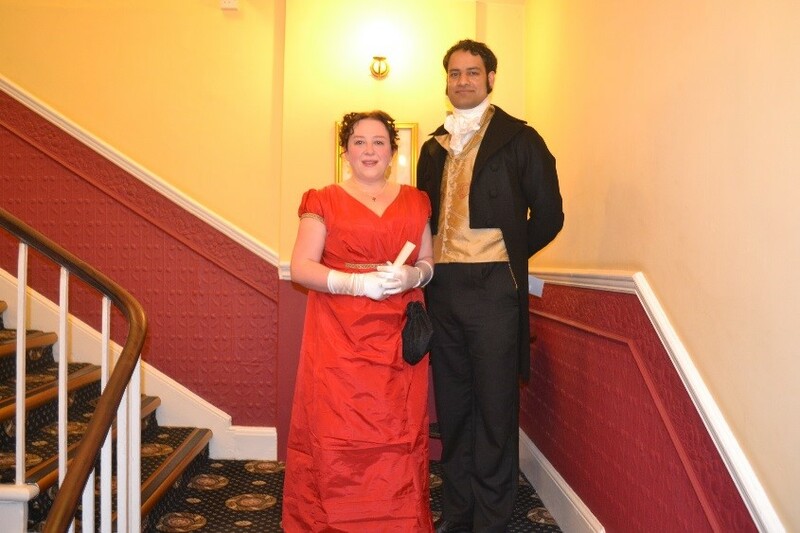 I have always enjoyed sewing and I have dabbled through the years but it was attending my first Regency ball that pushed me into attempting something as daunting as a regency ball gown. I created my first gown and was surprised at how easy I found it and I haven’t stopped sewing since. I can no longer walk past a painting from the era without noting and taking apart the clothing they are wearing in my head and I positively salivate when actual extant clothes are displayed in exhibitions. I have expanded my skills to Millinery in order to make bonnets and Corsetry so I can make authentic underwear of the era. I have even dragged family members and friends into my obsession with my father creating hardwood busks for me so that I can make my own long stays. The culmination of all this obsessive sewing is the recent opening of my own shop on Etsy in which I am selling Handmade Regency Clothing and clothes from other eras. I plan to expand into earlier Georgian and Victorian in the near future. As to my obsession, I will continue to study all things Georgian and daydream about the past safe in the knowledge that if someone does invent a time machine, I will be suitably attired. this post copyright © Emma Tinkler-Hundal, 2016. Thank you! I have been banging on about readymades [for which there is evidence in the Old Bailey records] for ages only to have the superior smile and 'Oh no, all clothes in the regency for those not rich enough to afford a seamstress were made at home', and the logical query 'and where did women who held down jobs in factories or as farmer's wives find the time?' is ignored... it's like underwear, there are memes which are as unbreakable as those about Almack's.